CRT's at that time although I always dreamed about having a CRT set up in my theater. The Revived thread is located here on Curt's site in the advanced procedures section. about the marquee which also was very valuable and quite interesting and fun to read. Time is a rare resource so I may not get to or add new info often. their own if they should continue with anything that is being discussed. For those who can not do these mods themselves Draganm is offering these mods at a vary fair price. So if you have 10 thumbs Dragnm is the guy for you. I appreciate those who have asked me to do the work but I have no time for these as my other projects take precedence. Marquee High Performance Bellows now shipping!! 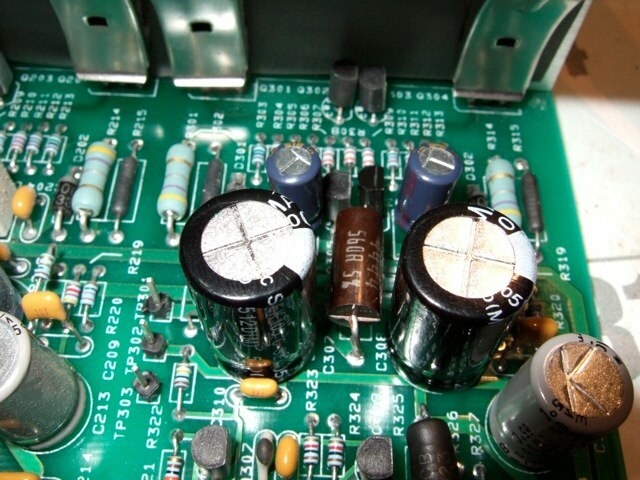 from over voltage to the heater elements in the tube causing premature failure. that houses the fans. 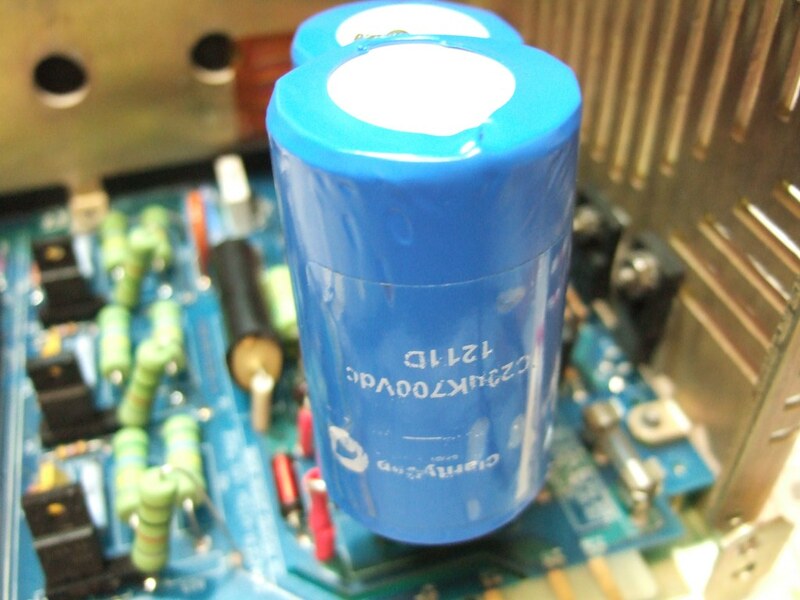 a 470 ohm metal film resistor and a 20ohm trim pot is needed. here is a close up pic. resistor, i found it easier to keep the lead on the resistor then cutting it after its all done. old solder is removed so the pin from the trim pot can also fit. Now with the new trim pot in place. 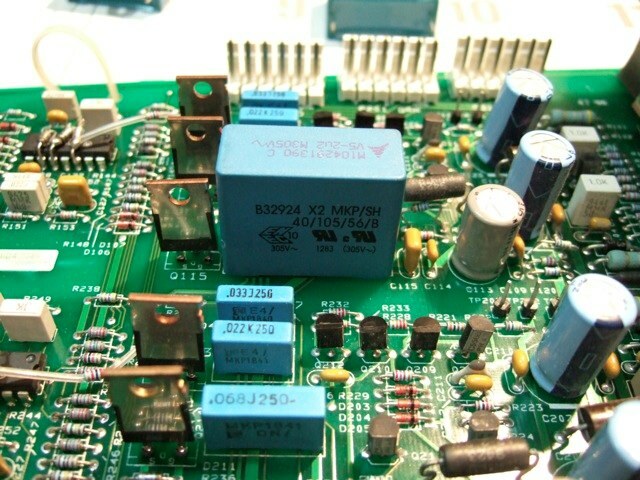 Back side of board showing lead from resistor and trim pot leads. you connect P14. trim pot to get as close to 6.35 as you can. to smooth it out. I also added dynamat to the inside stop any vibrations in the chasis. A fan noise post will also be in this thread too. If the pics are too big any future ones i'll make smaller, let me know. Remove HVPS and open up unpotted section. 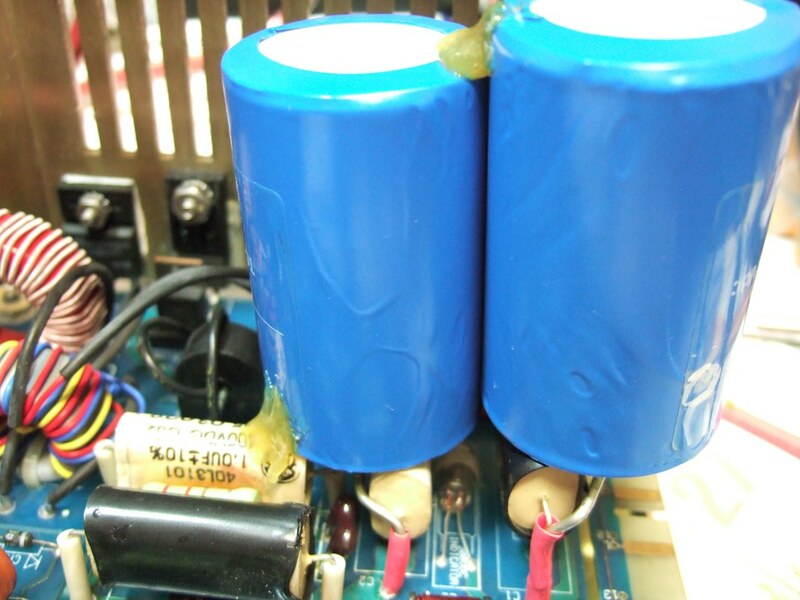 remove all the carbon comp resistors and replace with 2 watt ceramic ohmites of same value. be done unless the caps are leaking or not close to rated value. Mine were fine but I did it anyhow. tubes staying on when having only one tube on. with red... look into the other tubes and see if you can see the grid displaying on another color . A very very light grid is not too bad of a problem and wont show up on the screen. my picture. After the fix all is well after many hours of use. Leave room for resistors to breath !! coming into the HVPS. Well to find those caps cheap is not easy. So I came up with using A single HV Film Cap. here it is on Justins HVPS. 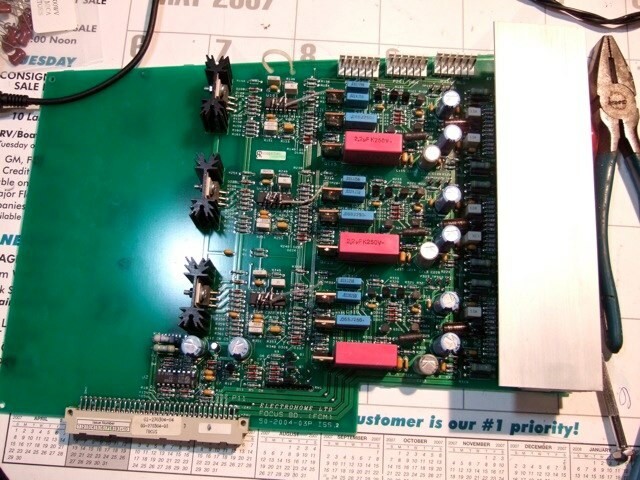 Link Posted: Wed Mar 12, 2008 11:09 pm Post subject: Focus Board upgrades. Now moving on to the Focus board. I have two boards here that I upgraded. some chips that were not problematic. 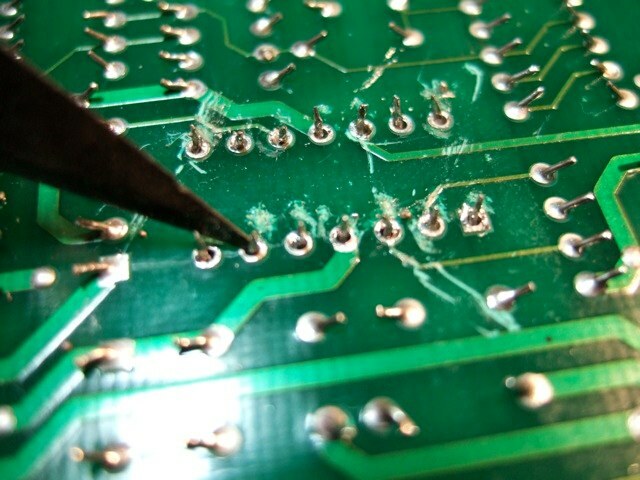 A desoldering iron is handy here, i would suggest getting one especially when getting to the op Amp removal. not spray it all over the board when moving on to the next pin removal. caps low esr caps would be a good choice but not mandatory. current on those rails, you need to lift the one end of the resistors and add the inductors . 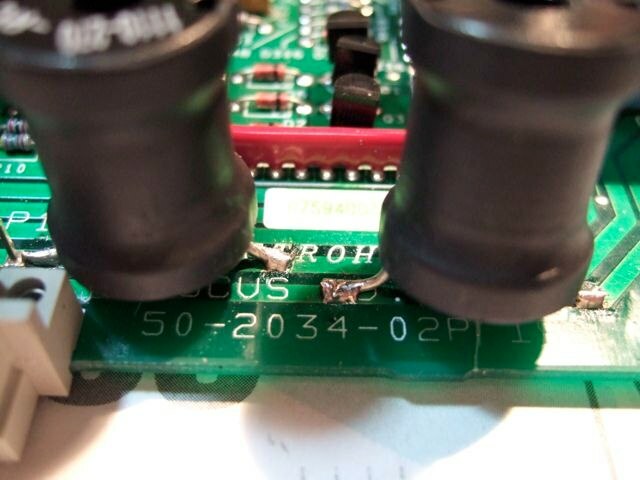 trace and scratching two locations on either side of trace to mount Big Beefy 270uf inductor. removing a a later time for any other maintenance. Next we are going to replace 4 caps for each color for a total of 12. this I got from an old post By Chris Johnson and from the jeahong_lee thread were Mcpherv changed out some of the same caps that CJ changed. CJ's link is gone so i cant go back to explain what he wrote about this mod. From Mcpherv's comments the 6 1uf or 22uf caps ,depending on which board you have, couple the dynamic focus output and should be fairly important. I used 22uf caps to replace the older boards 1uf go with a higher voltage than 50 and low ESR like the panasonic FC series. 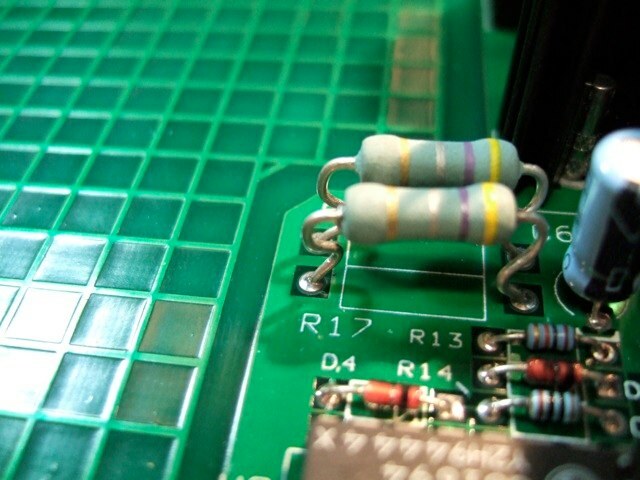 I always do one section(color) at a time and test the board after each change incase I goof and something doesn't work it's a lot easier to track down a bad solder or backwards placed cap....having said that, on the newer boards caps C102,103,202,203,302,and 303 are marked for their polarity on the older boards they are not and I had to find out the polarity. the pics here are from the older board. so in this pic the positive side of the 22uf cap will go to the wider trace or the one farthest from the heat sink on the back of the board. And we will replace the 6 470uf 35v caps with 1000uf 35 or 50 v caps.These decouple the 24volt rails and half of the dynamic focus circuit. C108,208,308,107,207,307. Now test the section you changed by ramping the focus up and down making sure it functions properly. If all is well do the other colors in the same manner. once again test after change this time you can test after all three are swapped out. 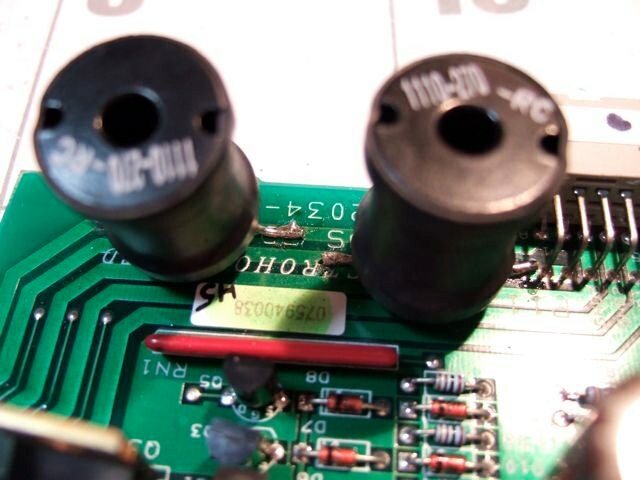 Next are the op amps u101,201 and 301 they will either be MC34074 or MC34084. these are noisy and distortive. 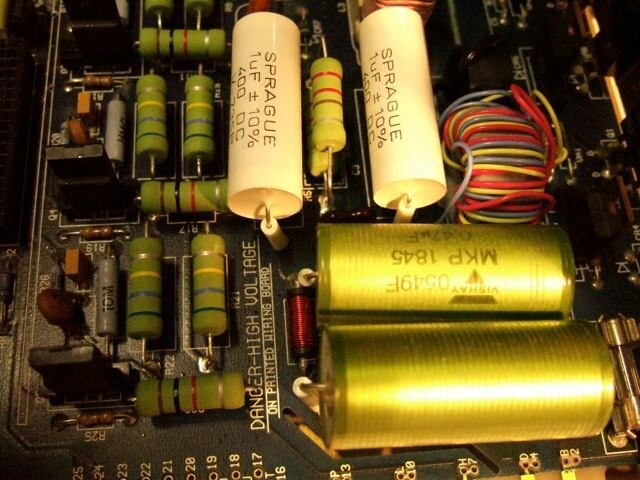 Idealy I wanted to replace them with the OPA4134 but they no longer come in the DIP package so i found the TLE2074 which is less noisy and distortive. these can be gotten from Texas Instruments as free samples. 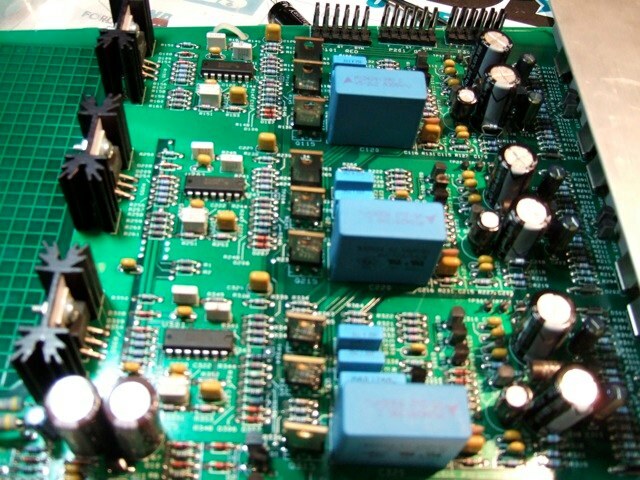 Now if you have a newer board you may not see the added diodes to the op amp as in my photos. I also decided to swap over the tech note diodes to the TLE2074's incase they do something else beside protect the op amp. 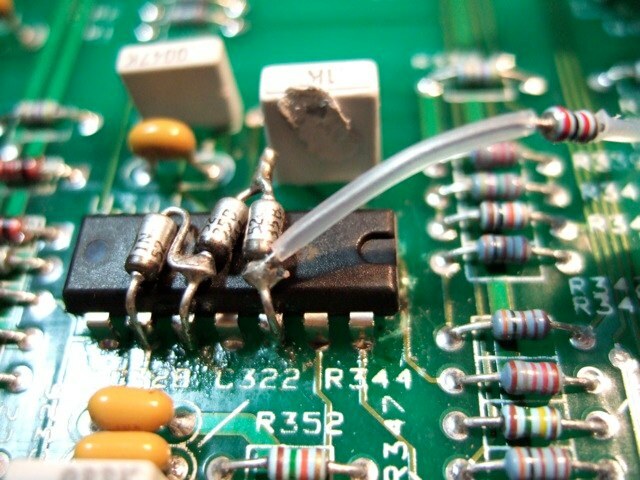 Now you need to remove the solder from underneath, i used the desoldering Iron, if you cant get it all out you will need to use some desoldering braid as well. 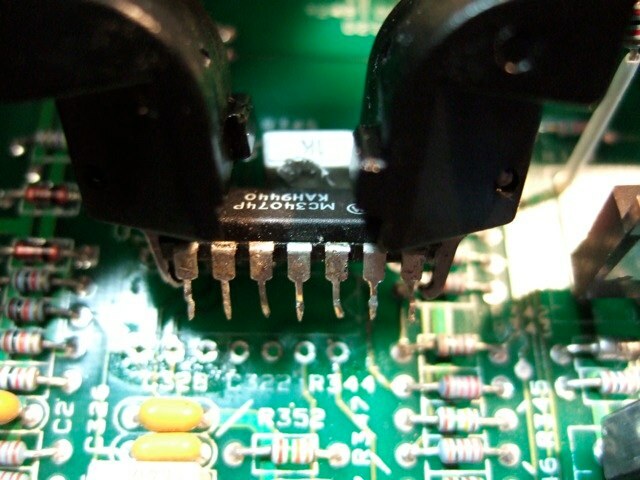 After you remove as much of the solder as possible you may have to use a screwdriver or an exacto knive as i have to push any pins away from any remaining solder in the through holes. 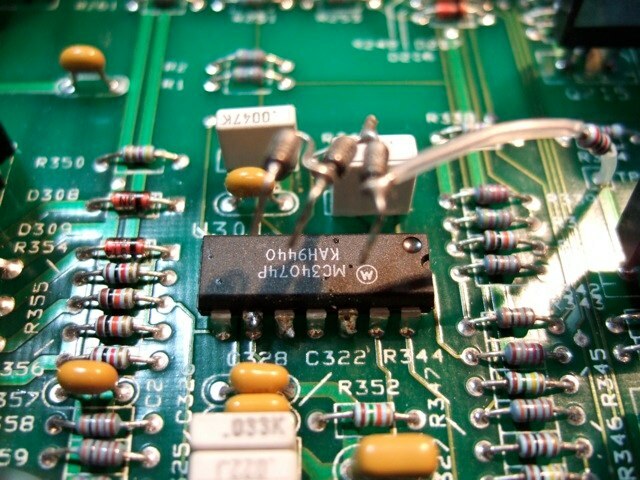 Now is the hard part, you dont want to pull any of the through hole or traces out from the board so begin loosening the chip slowly from the board i use a flat screwdriver to wiggle it loose then a IC puller while wiggling it. 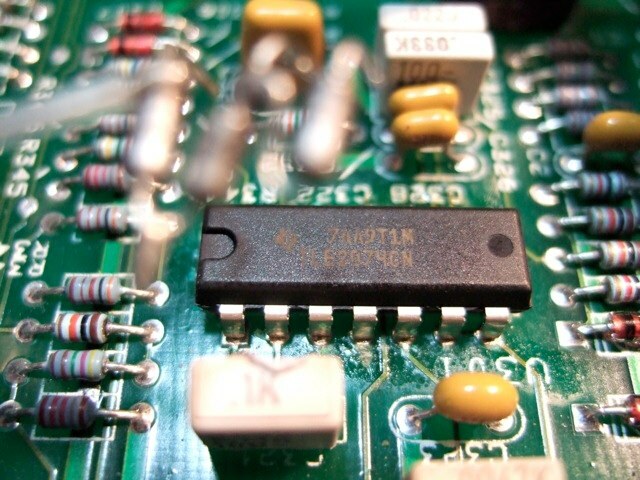 you may have to use your free hand to touch your soldering iron to the underside of any stuck pin while holding the board vertically and pulling on the chip from the top side, this takes practice but if you have a vice to hold the board its much easier. 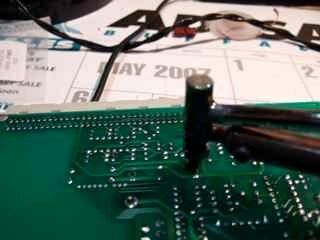 then place new chip into through holes make sure all solder is out or it will be almost impossible to place new chip, I put one side in then use a very small flat head screw driver to push each pin towards its appropriate hole. now if you have the resistor assembly replace that to chip.Be carfull when removing that chip you can see in this next pic where i melted a cap with the iron!!!! Now solder from underneath and test after each op amp removal as stated before. that completes the focus board. I think doing this tread is harder than doing the actual upgrades!!!!! must have been a lot of work but this is sooo much fun too! Mikes been pretty quiet around here lately. Maybe this will lure him out and he can add a tidbit or two. 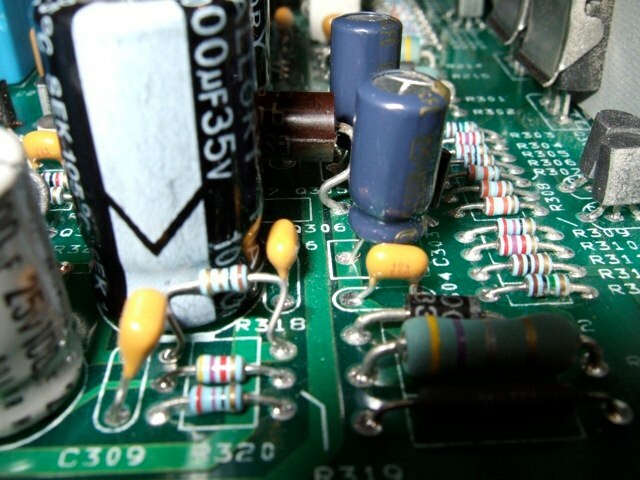 have helped me in understanding how CRT's work and also the electronics involved. This hobby has truly become an addiction for me and I LOVE IT!!!! Joust I was looking for a way to add inductor on the focus board for the +/- 24 volt rails but both pins at the connector go to the board and lifting them is not an option. 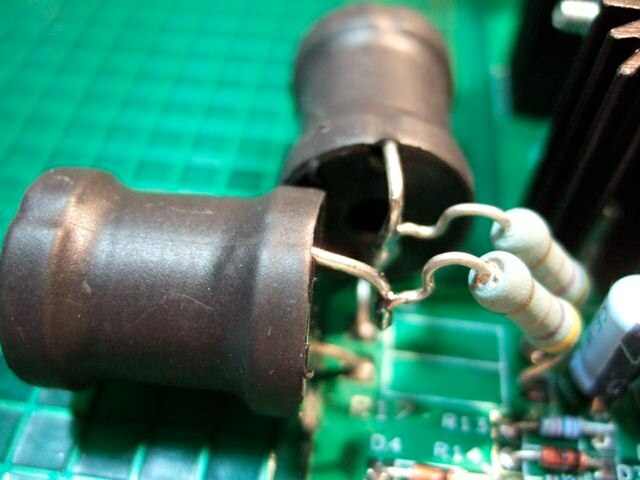 Do you thinking cutting the two traces and adding the inductor there is a wise idea? those are thick traces. can you take a close up picture of the area. 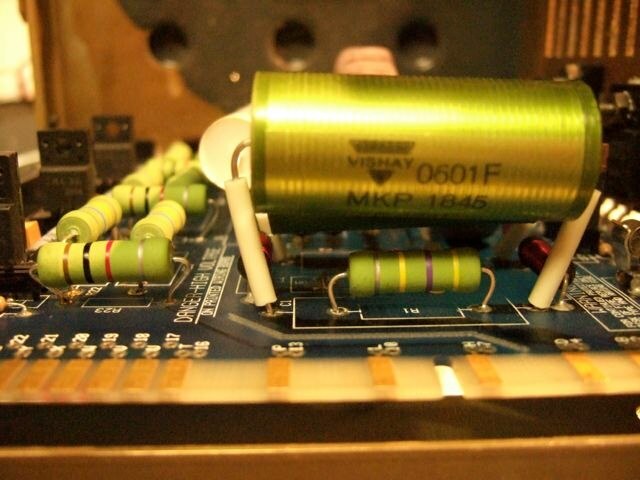 I have a board handy, I could add an inductor and take a picture for you. i think i have a Ferrite kit i could use. one trace has -24 the one below it is the +24 rail. 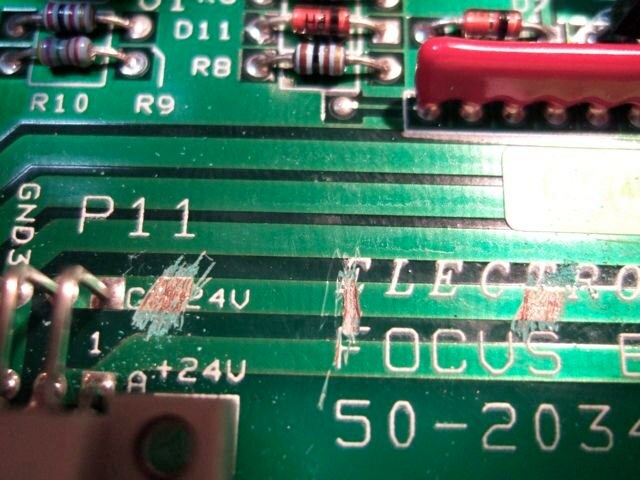 that cut rail and set it perpendicular so it goes across the whole width of the trace or wont it matter much and just use lots of solder? 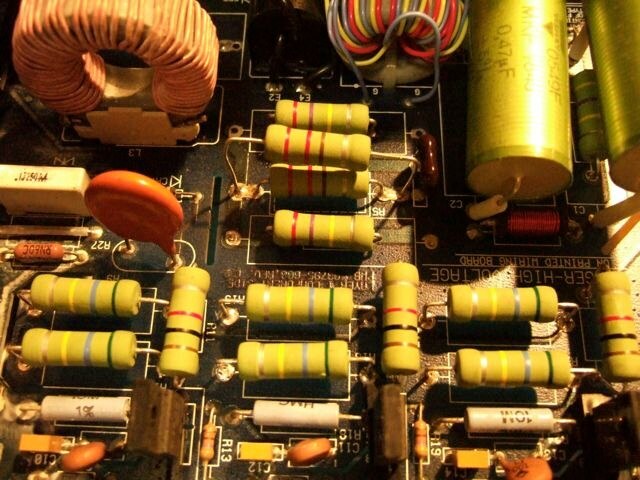 in front of me I have some color wheel inductors that i wanted to replace that resistor with. but none I have measured have a 1 ohm resistance the closest was a 100uh at .7ohm,s I dont think that would hurt anything being off by 3 tenths of an ohm. Stupid question time...what is an inductor and why would adding it to the chain help? If we're going to discuss some enhancement mods perhaps without writing a book you could throw in some 'theory/reasons for' along the way guys? I'm about as sharp as a wet Que-tip on alot of this and it would be great to learn more than how to follow the setup procedure and watch movies. Yes? No? 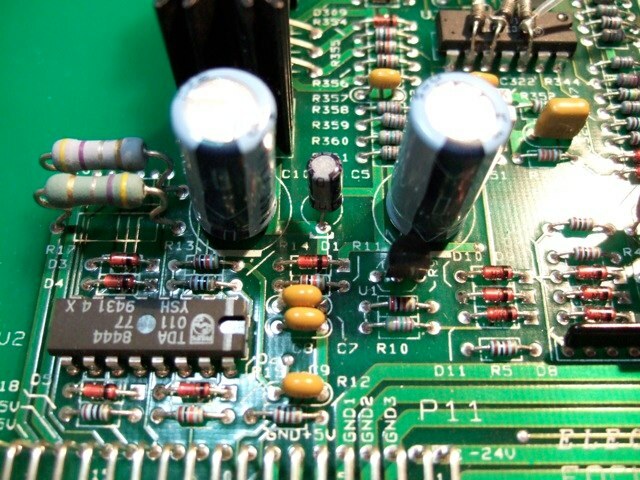 Cut the trace and use the inductor to connect the pins to the resistor. I'd have to look at the spacing to give a proper assessment. 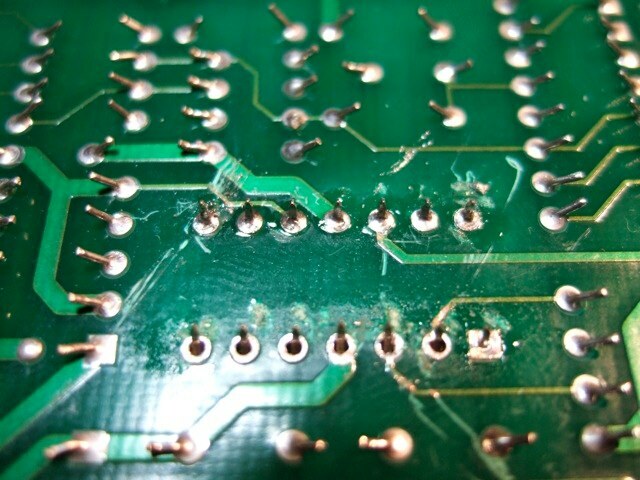 I've often scrapped the green soldermask off the trace and lay a lead on it and solder it. 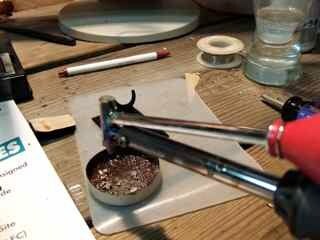 lay the lead parallel to the trace and solder at least a 1/2" of lead along the trace. the more the better for stability. 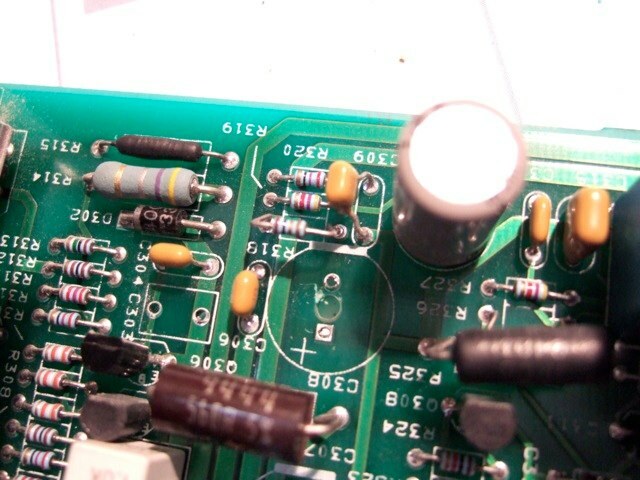 If there is nothing on the other side of the board you could drill a hole and mount the inductor in them. without writing a book you could throw in some 'theory/reasons for' along the way guys? how to follow the setup procedure and watch movies. Yes? No? going rails. In Mike's thread on" VIM 02 Succes" he uses them on the CLM rails to clean them up. I have some huge 270uh indutors i got by mistake that i was going to use on my VIM but they are too large to fit, they should work great for these 24 volt rails. going rails. In mikes thread on VIM 02 success he uses them on the CLM rails to clean them up. That answered it perfectly. I've seen the same things on wiring harnesses in copy machines and other electronic assemblies. They're usually encased in a snap shut plastic 'container'. 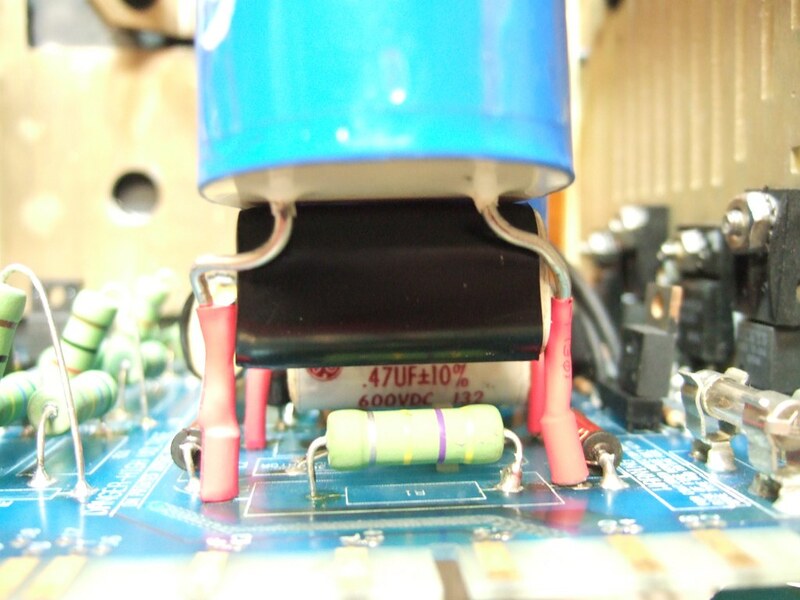 I didn't know you could actually solder them across the legs of a component. Interesting. I'm working on cleaning up a spare room in my basement outside the HT in which I HOPE to get a nice little work station set up so I can begin going through the reams of mods/upgrades I've printed over the years. Link Posted: Fri Mar 14, 2008 11:24 am Post subject: Re: Focus Board upgrades. Athanasios. 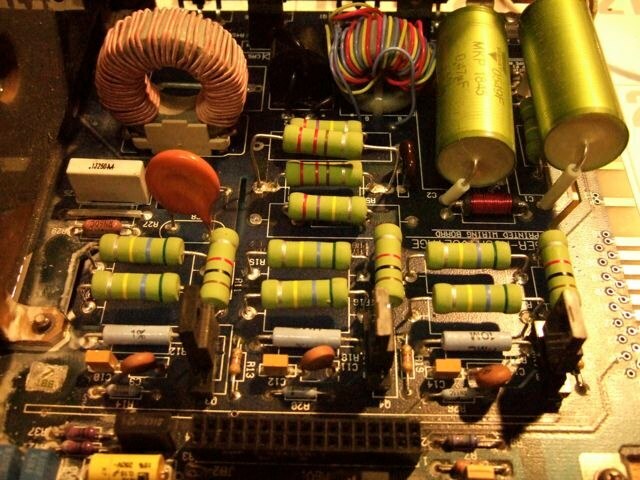 What is current rating of those inductors that you used?. I tested yesterday that fcm takes about 0.2-0.8 amps, measured on just one rail, and it also take some "current spikes" so those inductors must have big enought to hadle that current. 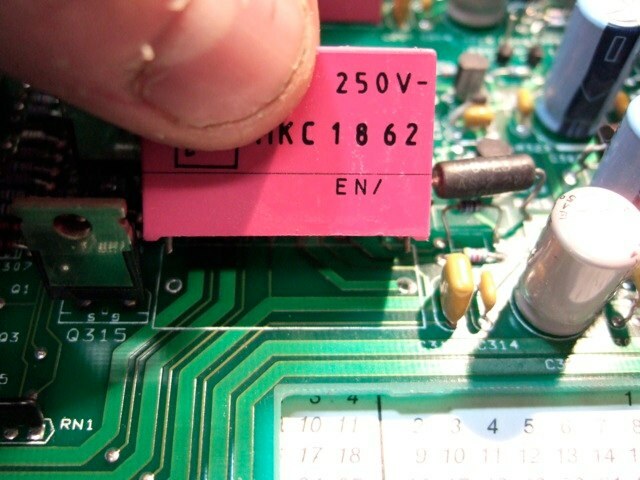 I think that inductor in that place must have current rating near 1,5-2amp min. 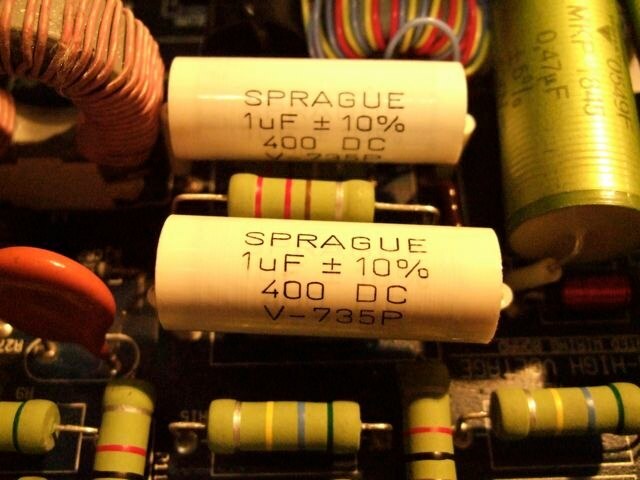 Also i think that changing those plactic caps doesent help anything, those are for "resonant circuit" different size caps are selected for different scanning freq. Those has nothing to do with noise..But those 3 100uF bipolars can make some drifting, changing those could help little for more stable focusing.